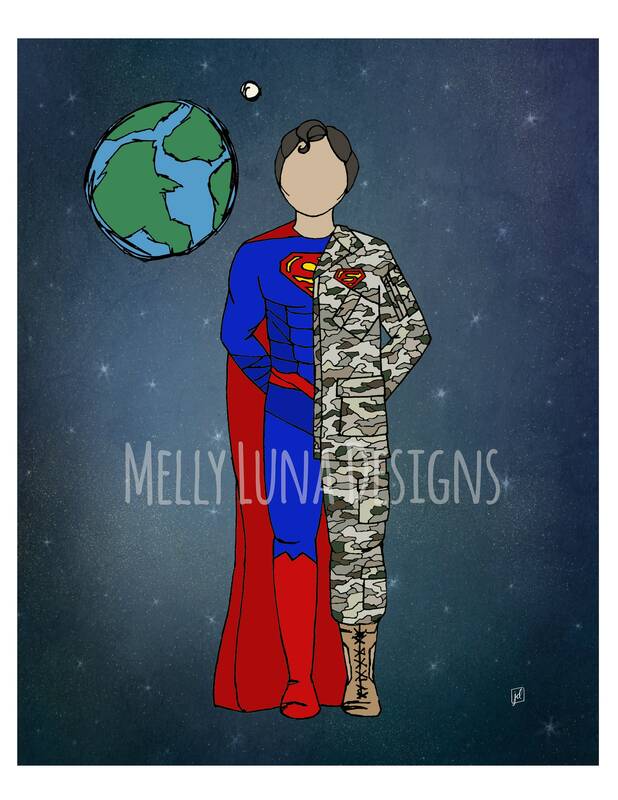 A tribute to our male warriors in uniform. 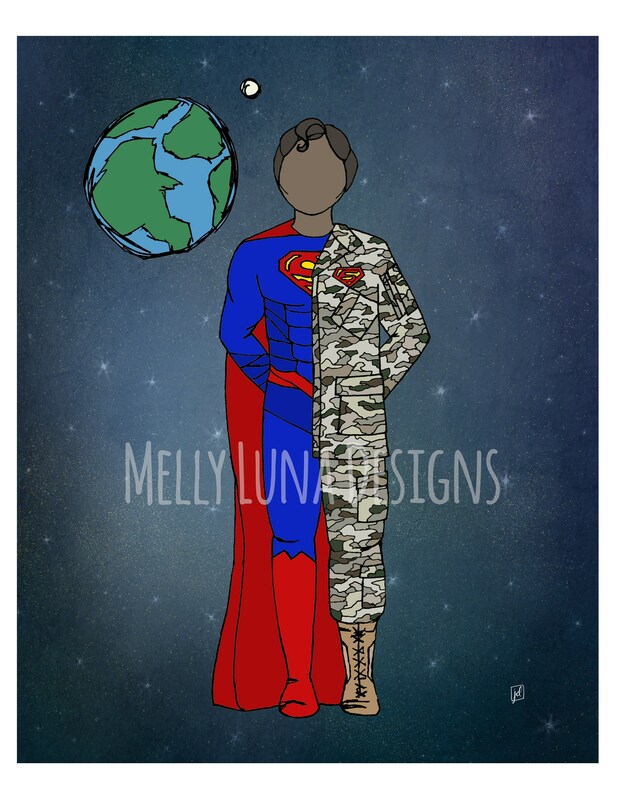 I could not be more honored to have been asked to create illustrations that highlight our heroes. Inspired by variations of Superman (for those DC Comics fans!) and the tri-services OCP camo.